Archaeology deals with the study of past human activity, mainly through the recovery and analysis of the materials, their composition and the environmental data which has been left behind by the past human populations. These include architecture, artefacts, biofacts (also called eco-facts) as well as cultural landscapes, i.e. Archaeological records. Since the field of Archaeology encompasses a wide range of different disciplines, it is considered both a social science and also humanity. The domain of Archaeology deals with the study of human history, right from the first stone tool age in eastern Africa more than four million years ago to the recent decades and current explorations. The objective of Archaeological study involves study and analysis of human evolution in terms of their past culture and history. The discipline of Archaeology involves surveying, excavation and also the eventual analysis of data collected, for learning more regarding the past. In a broad definition, Archaeology is based on cross-disciplinary research. It involves Anthropology, Art, History, Geography, Geology, Ethnology, Linguistics, Physics, Chemistry, Statistics, Information Sciences, Paleontology, Paleozoology, Paleoethnobotany, Paleoecology and Paleobotany. Archaeology is today a highly disciplined practice all over the world. Right from its early development, other sub-disciplines of Archaeology have slowly developed, such as Maritime Archaeology, Archaeoastronomy etc. Various scientific techniques have been developed and continue to be created to assist Archaeological investigation. The State Museum located in Public Gardens, Hyderabad, is one of the richest repositories of antiquities and art objects in the country. The present Museum building reflects the Indo-Islamic architecture with subtle domes, high arches, stylistic windows and projected eves. Archeologist Henry Cousens was the first person to explore the site during the beginning of the 19th century, and later the mound was excavated which was done under the supervision of Nizam of Hyderabad. The excavated items were placed in a museum built on the ancient site in the 1920s by Mir Osman Ali Khan, VII Nizam. The Museum was formally inaugurated in the year 1931. The Nizam had contributed his personnel collection of art objects along with the antiquities recovered from his dominion for display. 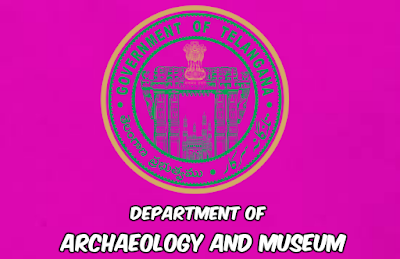 The Hyderabad Museum was subsequently renamed, as the State Museum under the Department of Archaeology &Museums. The Museum showcases Hindu, Jain & Buddhist sculptures and bronzes, decorative art objects, paintings (copies of Ajanta, Chugtai, Miniature and Modern) and 18th-19th-century objects in a Period Room. The museum's main attraction is its 2,353-year old Egyptian mummy, reportedly brought to Hyderabad by the son-in-law of VI Nizam Mahbub Ali Khan, who had then donated it to the last Nizam Mir Osman Ali Khan. He reportedly acquired this for a sum of 1000 pounds. There is also a huge gallery on Buddha and it has a wide variety of archaeological artifacts gathered from the Nizam era and Kakatiya dynasty. Interpretation centre will help the State Museum located in Public Gardens, Hyderabad, in connecting with the tech savvy era and project its attributes as one of the richest repositories of antiquities and art objects in the country. It contributes for viewing all the information, exhibits, artefacts and galleries through digital format, which enhances the user experience. In the advanced information age, this can enhance the scope and activities of the state museum as well as in reaching out to more visitors. The multi-touch interface imparts a sense of feel among the visitors who would not only view these exhibits but also feel the rich legacy where they become part of the wonderful experience. LED televisions usher an impressive viewer experience which is a value add for a museum of repute like State Museum, Hyderabad. The museum with some of the impressive and famous exhibits such as Egyptian Mummy, important Buddhist and Jain relics, Buddhist gallery, Coins of the Satavahana period, Brahmanical and Jain gallery, Arms and armour gallery, sculptures, Numismatics gallery, Ajanta gallery, Bronze figures from the Vijayanagar and Chola periods, Roman era coins, etc offers a visually delightful experience for the visitors. The applications in the Interactive Interpretation center will usher a new identity for the museum in the social media generation and appeals to one and all through the use of such effective visual mediums. The collection is spread across two floors of the heritage building, two floors of semi-circular galleries, in a separate contemporary art pavilion building and in an annex building located behind. The Sculpture Garden Gallery displays 93 sculptures and architectural items dating from Satavahana (2nd century B.C.) to the Post Vijayanagara period (17th century A.D.) in different stone media. In the Garden, two four pillar mandapas belonging to Kakatiya and Vijayanagara times, a number of Veergals (Hero Stones), Panchaloha, Iron Cannons and a Wooden Chariot shifted from Jetprole village have been displayed. The Museum Shop and its counter are located in the entrance complex. The structural edifice in the premises of the Directorate office, i.e., Pavilion was constructed by the Irrigation and Projects department in the year 1976 and handed over to the department of Archaeology & Museums in 1990 with a view to display antiquities and art objects recovered from submergence areas of Yeleswaram and Srisailam Reservoirs of Krishna valley and also to preserve other collections excavated in the state. Therefore, the Srisailam Pavilion was established in the year 1976 in the premises of Director, Archaeology & Museums Dept, Gun Foundry, Hyderabad. 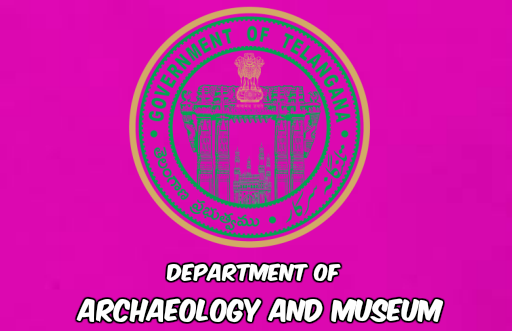 The Centenary Heritage Museum showcases terracotta, stucco, prehistoric, megalithic, and iron artifacts, early historic objects, temple sculptures and door-jambs collected from the submergence area of the Srisailam Project. The ground floor displays objects and antiquities such as Terracotta figurines from Kondapur (Medak District), Peddabankur and Dhulikatta (Karimnagar District), Pochampad (Nizamabad District), Serupalli (Mahaboobnagar District), Yeleswaram (Nalgonda District) and Gollathagudi (Mahaboobnagar district). It also includes a display of stone, wood, ivory, porcelain objects etc., in the remaining sections. The antiquities and arts objects displayed in the building are systematically organized in accordance to musicological principles. In this gallery the Paleolithic tools are displayed which shows pre-historic times. The tool kits are organized according to the era such as lower Paleolithic, Middle Paleolithic, Upper Paleolithic and Mesolithic times. A good number of stone and copper items such as polished edges, axes, rubbers, sling ball, Saddle querns etc., and pottery recovered from various parts of state shows the day-to-day life of Neolithic man in terms of tool making technology, domestication of animals, hunting, agriculture, art of pottery making, paintings on the ceilings of caves and caverns. Further, the department has conducted excavations at several megalithic burial sites in the state such as Chinnamarru, Peddamarru and Uppaladu (Mahaboobnagar district) which are on display. These show the burial practices, religious customs and beliefs of the Megalithic folk during the period. In the Early Historic Gallery, priceless antiquities recovered from excavations are on display. The most important objects are beads from Kondapur excavations (Medak district), studied by Sri. K.N. Dikshit. The other antiquities and art objects include iron implements, beads, ivory combs, dice, terracotta moulds, coins, semi-precious beads, silver beaded necklace, shell bangles, antimony rods, copper foils and pottery etc., from excavated sites such as Kotilingala, Pedabankur and Dupatta (Karimnagar District) and Neelakondapalli (Khammam District) etc. The high power committee of Srisailam project had selected nearly 44 temples for their relocation to the higher contours of nearby rehabilitated villages in the Srisailam submergence areas of the mid-Krishna river valley. The gallery includes scale models of the selected temples for the benefit of scholars and visitors. The department has acquired such scale models of temples and is kept inside the museum. Of Charminar is considered the symbol of Hyderabad, then Qutb Shahi Tombs along with Golconda Fort is considered an integral part of Hyderabad city's rich history and culture. A unique and grand necropolis, Qutb Shahi Tombs is a must-see on the itinerary of visitors to Hyderabad. The Qutb Shahi dynasty (1518-1687 A.D.) founded by Sultan Quli Qutb Shah in 1518 A.D., ruled for a period of 170 years in Deccan region. The Qutb Shahi rulers were great builders and patrons of learning. They had constructed massive tanks, religious and secular structures and bridges. They not only patronized the Persian culture but also the regional culture of the Deccan, symbolized by the expressive Telugu language and the newly developed Dakhni idiom. King Muhammad Quli Qutb Shah, IVth King of the dynasty is the founder of Hyderabad City. The seven kings of the Qutb Shahi dynasty have left a strong impression of their legacies upon the land and its people. The Royal tombs of Qutb Shahi rulers near Golconda is considered as the final resting place of the Royal kings. Qutub Shahi tombs is a mausoleum of the seven Qutub Shahi rulers, located near the famous Golconda Fort in Hyderabad. The tombs lie approximately one kilometer to the north of Golkonda's outer wall. These are the symbols of the architectural expertise of the Qutub Shahi dynasty. Built in different media, these Royal mausoleums have inspired generations of visitors. Colossal domes, mosques, basins and pools of water including heritage fountains in the Indo-Islamic style here are replete with crenellations, friezes, tile work, roundels, plaster designs, stucco work, floral designs and geometrical patterns. The Qutb Shahi Heritage Park, has 72 monuments including the mausoleums of rulers of the Qutub Shahi dynasty (1518-1687) which is spread over 108 acres, close to the majestic Golconda Fort. The complex has a total of 23 mosques, 40 mausoleums, six 'balls' (step-wells), a 'human' (for mortuary bath), pavilions and garden structures. The monuments in this complex are a blend of Persian, Pathan and Hindu architectural styles which were built with local granite and traditional materials. The tombs are known for their rich heritage, historical and architectural value. The Qutb Shahi Tombs Museum exhibits weapons, armour, utensils and other important materials and artefacts of the Qutb Shahi period. During the reign of Qutb Shahi dynasty, Golconda was the capital. This was the period during which Sultan Zam Sheed, Ibrahim Qutb Shahi and IVth Sultan, Mohammed Quli, who was also the founder of Hyderabad, ascended the throne. At that time, during the reign of the Sultans, the capital came to be known as Mohammed Nagar. Being the capital city, all the major religious, military, administrative offices and important buildings were built here. One such building is the Khazana Building. As the name suggests, Khazana Building was the place where the kingdoms Khazana or treasure was stored. It was the treasury of Ibrahim Qutb Shahi. Khazana Building is located close to the Golconda Fort in Hyderabad. Located on the main road, on the way from Fateh Darwaza to Bala Hissar road, the building is also known as Khazana Building Museum. When tourists enter the Khazana Building Museum, they can first notice the guard rooms of the royal treasury of the Qutb Shahi dynasty. As with most Islamic buildings, there are religious centres inside the complex- Ashrafi Mosque in the eastern quarters of the building and Chani Mosque (built during Ibrahim Qutb Shahi time, 1550 AD – 1580 AD), the smaller mosque of the two. Located opposite to the Khazana Building Museum is Sham Sheer Kota. During the reign of Ibrahim Qutb Shah, royal arms and weaponry were stored in this building. Khazana Building has a majestic central arch, on the sides of which are two halls. The arch supports the roofs of these halls. The halls had a special purpose too, these were storehouses of the royal treasury of the army and government of Qutb Shahi. The central arch leads to the Courtyard and the gardens. Today, there are Canons from the Qutb Shahi Period on display, here. Also, stone sculptures from neighboring regions, of the Chalukya and Kakatiya period as well as Qutb Shahi and Bahmani dynasties are on exhibition. From rare coins to centuries-old relics unearthed during various excavations, the region’s treasure of history and heritage are displayed at the Khazana Building Museum. When the Nizams were replaced by the democratic government, in 1948, the ownership of Khazana Buildings was passed on to the Indian Government. It was then allocated to the Indian Military to use this building to distribute the salary to its staff. At that time, an addition was made to the complex, a gabled section was constructed in the courtyard. During 1951-1952, the Khazana Building Museum was passed to the Department of Archeology and Museums. This was when the Khazana Building had become a Heritage Building with a changed shape and became a monument, as we see it today. The artefacts exhibited in the building today were added by the Department of Archaeology and Museums.